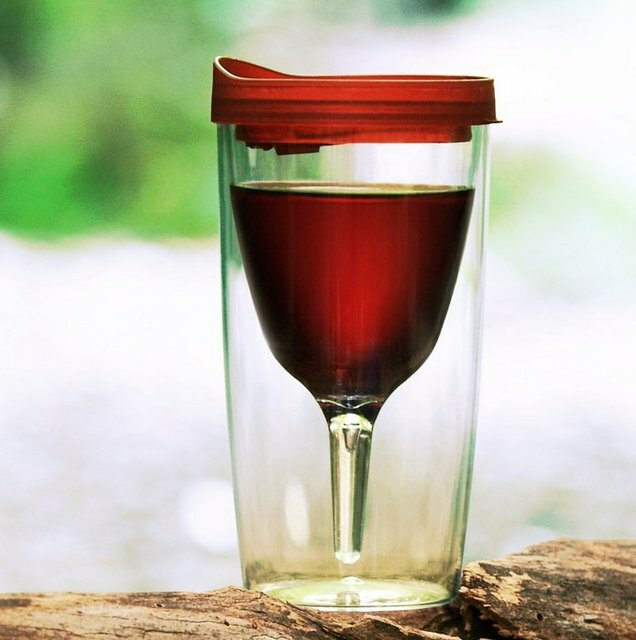 Vino-2-Go is the ideal solution to enjoying your wine outdoors. The double wall insulated wine tumbler that helps maintain ideal temperature. Does not sweat and stays cool. No more broken glass on the patio, pool or boat. Lid keeps bugs out and prevents spills. Perfect for around the pool, at outdoor events, wineries, boating, camping or golfing. Holds up to 10 ounces.